At the January 24, 1914, meeting of the Hamilton Woman’s Club, the club president “presented the idea of the Club boosting for [a] Carnegie Library building here.” Club members concurred and appointed a committee to urge city officials to act. Mrs. J. F. Sullivan, head of the club’s newly formed library committee, approached Hamilton’s city council about asking industrialist and library benefactor Andrew Carnegie for funds. After Marcus Daly’s widow, Margaret, donated the land for the building site, Carnegie’s secretary approved the city’s request. Two years later, the Hamilton Woman’s Club moved its meetings to a specially designated room in the town’s new Carnegie Library, an institution that owed its existence to the clubwomen’s hard work. 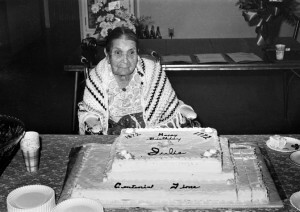 The Hamilton Woman’s Club’s instrumental role in the library’s construction is not an isolated case. 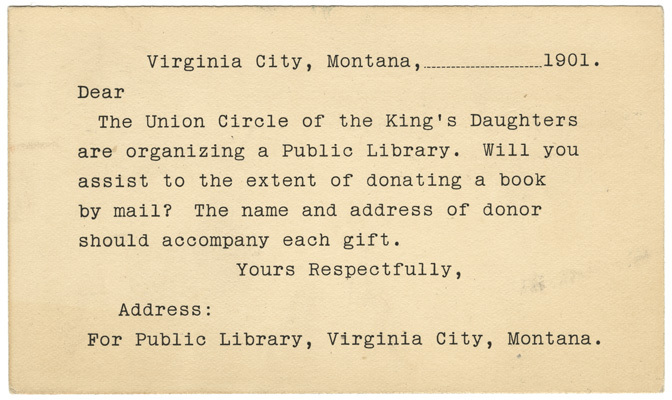 During the Progressive Era, women’s voluntary organizations frequently led community efforts to build public libraries. In 1933, the American Library Association estimated that three-quarters of the country’s public libraries “owed their creation to women.” More recently, scholars Kay Ann Cassell and Kathleen Weibel have argued that “women’s organizations may well have been as influential in the development of public libraries as Andrew Carnegie,” whose name is carved into thousands of library transoms across the United States. 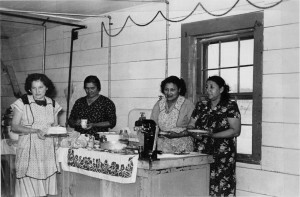 Members of the Fort Peck Friendly Homemakers Club prepare to serve food at a fund-raiser for a children’s Christmas party, circa 1948. 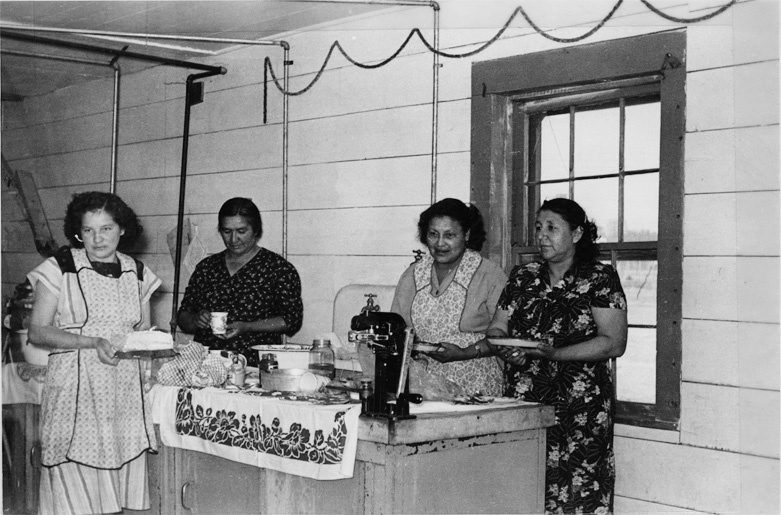 Early clubs on the Fort Peck Indian Reservation were segregated by race, but the Extension Office worked to integrate clubs in the 1960s. Roosevelt County Extension Service, “Annual Report of Cooperative Extension Work, 1949.” 22. Home Demonstration clubs—also known as Homemakers clubs—were created in 1914 as part of the Cooperative Extension Service in Agriculture and Home Economics. Their goal was to bring “expert” instruction on the subjects of home economics and agriculture to rural women. 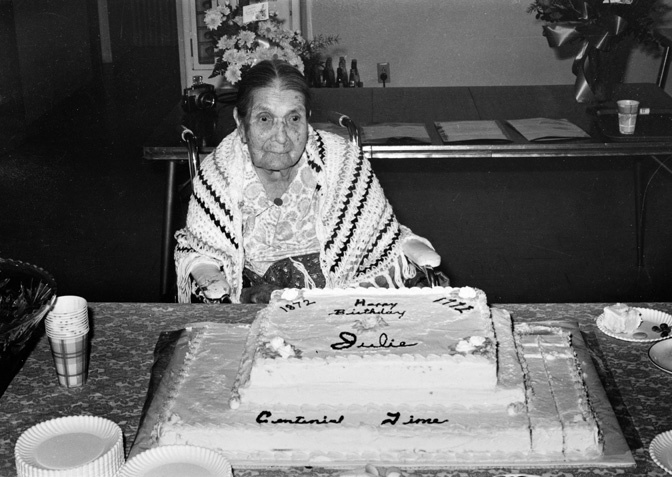 Originally intended to “uplift” rural women through professional instruction, Home Demonstration clubs became a way for Montana women to socialize and learn from one another and to serve their communities. 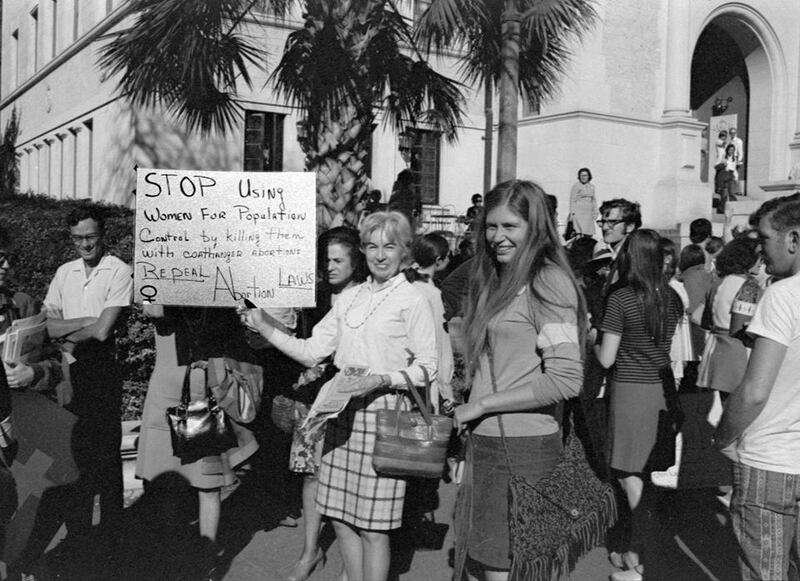 While the clubs attempted to reinforce conservative domestic values, the experiences of Home Demonstration clubwomen in the post-World War II era suggest that farm women adapted them to their own ends.